I haven’t bought Ch. Langoa Barton or Ch. Léoville-Barton for my own cellar since 2005 and I wonder why. It is not because they have been ‘aggressive’ in their pricing policy, far from it, they are consistently being harangued by their neighbours to dramatically put their prices up. Then is it the quality? No, again both have been perfectly ‘sound’, ah but that’s it! Over the last few years they haven’t stood out from the crowd enough. This year they both do, and I think the simple reason is the style of the vintage. It is not a flamboyant, dramatic vintage like 2009 or 2010. It is classic and that is why classic wine makers have come to the fore and ended up back on my shopping list again. Ch. Langoa Barton, the feminine seductress, using its sweet, dense red fruit core to entrap and entice. Ch. Léoville-Barton in contrast, a yang to Langoa’s yin. Rich, dense, unforgiving, powerful black fruit dominant. This is a really profound brace this year. Whenever Bordeaux is criticised for its price rises or lack of understanding of customer needs there is one name that is always excepted: Anthony Barton. Not only are his wines always very fairly priced, but at their best they rival the quality of the First Growths. 2003 is yet another such year. A lovely fresh herbaceous nose of fine cassis, eucalyptus and tarry hints is followed by a powerful, masculine palate with rich blackcurrant fruit, Léovilles classic clout and a typically long finish. Full-bodied, powerful, and loaded with flavours of forest fruits, plums, cigar box, and vanilla. This is another benchmark wine from the Bartons in 2015. There is a real spicy character to the wine, some charm and lots of finesse. A pleasing sweetness emerges on the finish. Well balanced, the soft tannins are nice and grainy, and pleasingly integrated. Cassis, black cherries, and blackberries dominate. A very tasty St Julien and unquestionably a wine for the cellar. There can surely be few other estates in Bordeaux that are as consistently brilliant as Léoville-Barton. This is incredibly classy, with very concentrated, rich, restrained black fruits, and hints of cedar, minerals and cigar box. It is all in absolutely perfect balance with a wonderful freshness and sublime elegance amid lashings of fruit and very fine tannins. Amazing stuff. Léoville-Barton has produced another truly superb wine in 2001. With pure, spicy fruit in perfect harmony with creamy oak and ripe tannins, this tautly-structured wine is Claret at its very best. Dark is the watchword here when describing the fruit. Plums, cassis, black cherries and blackberries all vie for attention. There are hints of spice too and a pleasing sweetness emerges, especially on the finish. Well balanced, the soft, ripe tannins contribute to a silky result and the wine is long, charming and pure. This is another wine of some class from the Bartons in 2014 and, yet again, a great benchmark Claret. Very much the epitome of an English gentleman, the charming Anthony Barton must be one of the most reasonable proprietors in Bordeaux. Year after year he leads the quest for prices to come down; if only other châteaux owners would follow suit! The 2008 is loaded with massive, chewy tannins that coat the mouth while the underlying essence of dark, brooding blackcurrant fruit is perfectly complemented by notes of coffee and chocolate. It will take many years for the complexity and depth of this wine to shine through but the long, fulfilling finish is an indication of just how good it will become. This will be a force to be reckoned with when fully mature. Anthony Barton was not over-estimating this wine when he compared it to his outstanding 1996 - it is unquestionably of super Second Growth quality. With its more masculine style, this is always the star performer of the Barton brace and the 2004 expresses all that is best about this aristocratic estate. The nose is very fine and displays multi-faceted, lively fruit characteristics.The palate is dense with delicious, ripe, complex blackcurrant fruit and a fabulous, long, cool finish. This is a resounding success for the Barton family and is undoubtedly one of the star wines of the vintage. 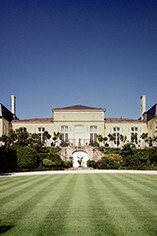 As with its sister property Ch. Langoa Barton, Ch. Léoville Barton shows well in 2012. Not as initially exuberantly fruity as Langoa, but more profound. There is a good density of fruit and a robust but not a clumsy approach. 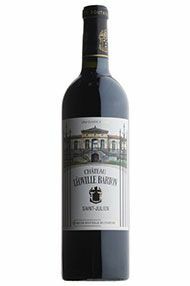 The tannins which, in 2012, can be problematic elsewhere, are well-judged and support the typically assertive Léoville Barton fruit. Again, selection was the key. The difficulties faced in 2012 persuaded the Bartons to rent a new-fangled optical sorter for the harvest, a machine originally developed for the garden pea industry and subsequently found to be ideal for identifying and ejecting less than perfect grapes. It has become the must-have gadget in the most advanced Bordelais cellars. The Barton cellars retain a homely feel, but such was the success of the optical sorter that the short term rental was quickly converted to a full-time purchase. The proof of the value of the investment is in the wine. One of the most loved clarets of all and one that goes from strength to strength. Balance is the key feature of this with along with wonderful refinement and length. A very fine 1999 and one that will age gracefully as well. Dark purple in colour, this has attractive red fruit on the nose and a very suave feel on the palate, with a creaminess to the fruit and a polished, racy, ribbon-like texture. Lots of vitality this year, it finishes super fresh and leaves one hankering for a second glass.